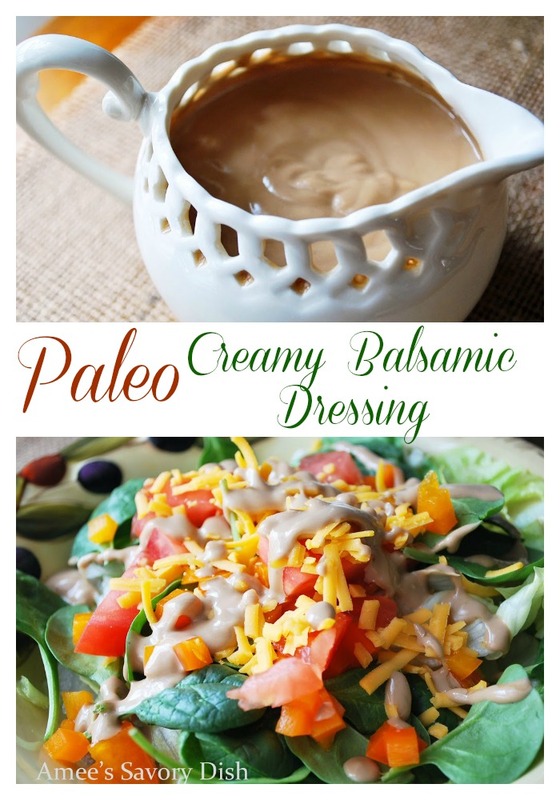 Grab my recipe for homemade Paleo mayonnaise to make this delicious Paleo creamy balsamic dressing! You won’t regret whipping up this tasty accompaniment to your favorite salad recipe. It takes salad to a whole new level…so good! In a medium size bowl, whisk all ingredients together until smooth and creamy. Serve with your favorite salad. This homemade creamy balsamic dressing is so good, you’ll never want to buy dressing again! I want to eat that salad RIGHT NOW! This is a 5 stars recipe. Thank you so much! I’m thrilled that you enjoyed the recipe! Thank you so much! Glad that you enjoyed it!